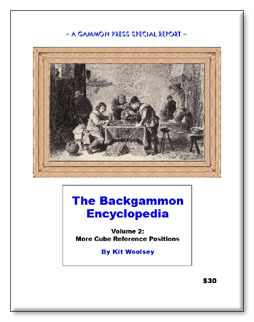 Volume 1 examined relatively standard position types such as holding games and anchor games. Volume 2 looks at middle-game positions that are less clear. Many of these might fall into more than one category, or no category at all. Woolsey starts by looking at a prototype position and then makes modifications to see what effect the modifications have on the equity and cube decisions.